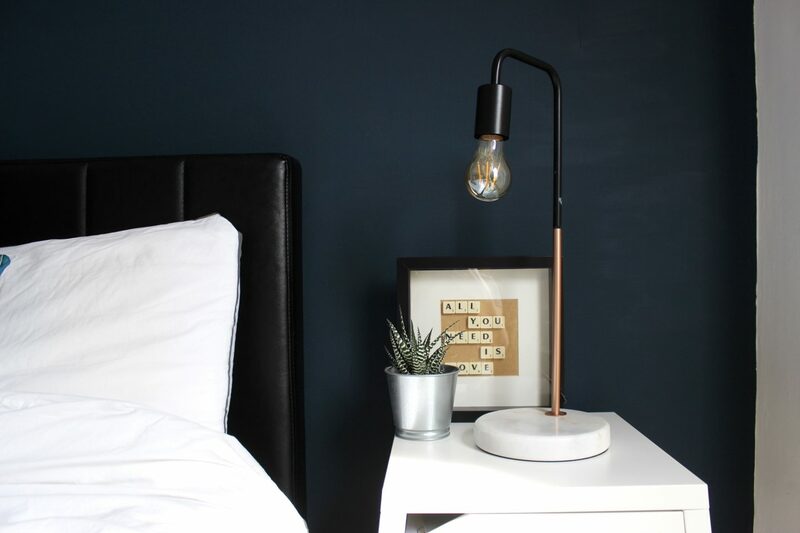 Bedroom lighting is so important, in fact it’s probably the most important room in the house to get right when it comes to lighting. Our bedrooms should be a relaxing, calm and peaceful space. 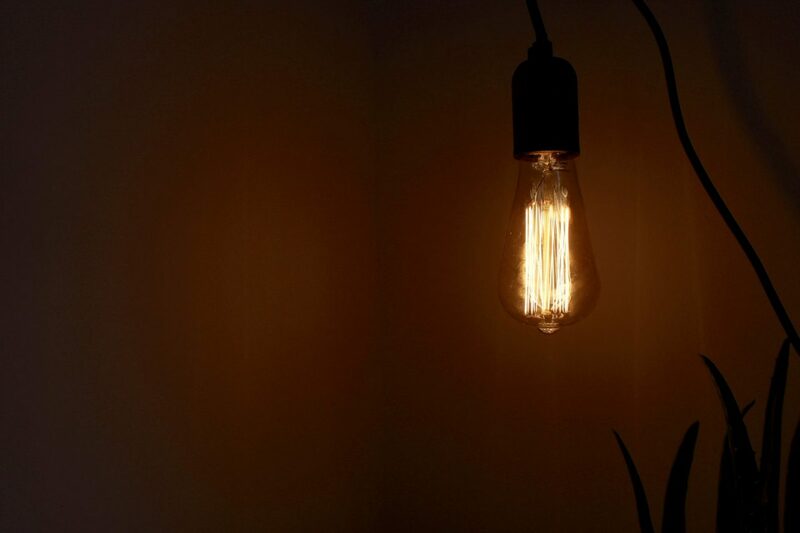 Somewhere we can retreat to at the end of a busy day and unwind and lighting can play a huge role in achieving the relaxating space that we want. 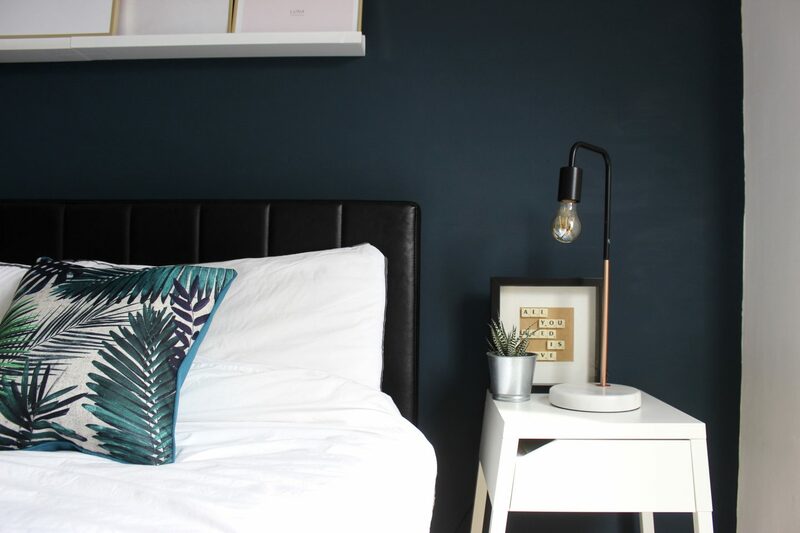 We recently redecorated our bedroom, you can check it out here if you haven’t already. We still have a few more finishing touches to add, such as a new bed, a side table and lighting. 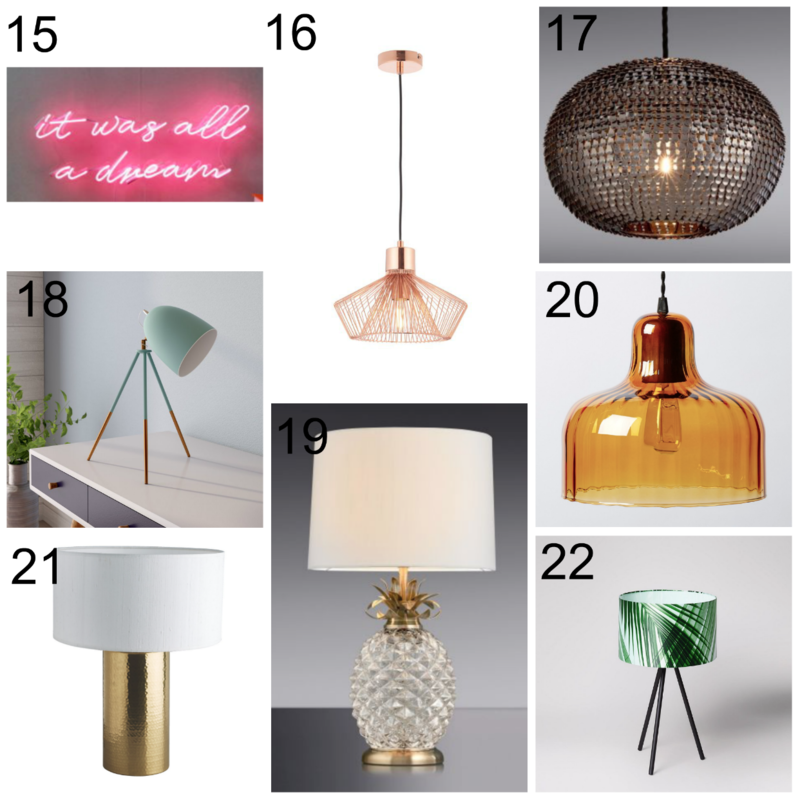 We currently have gorgeous lamps on our bedside tables, that I adore. These were from Wayfair last year and I just love them. 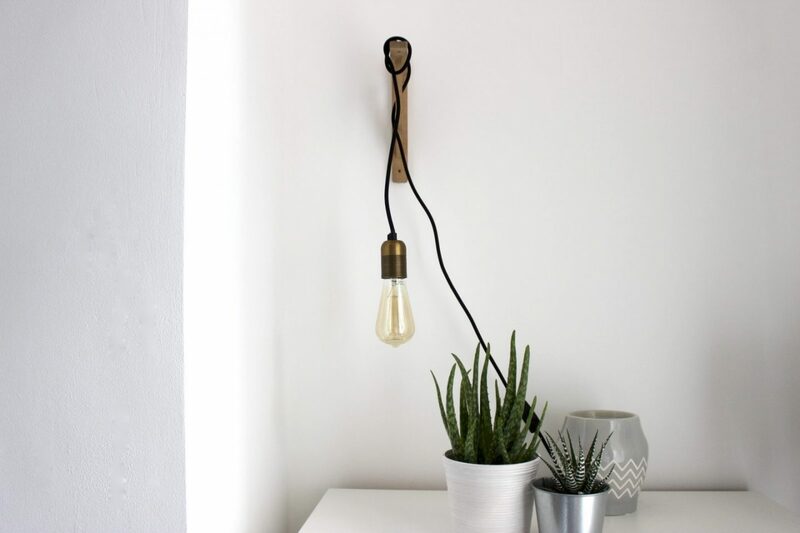 I’m really into the exposed bulb trend at the moment and it’s something you’ll see in a few rooms around our home. 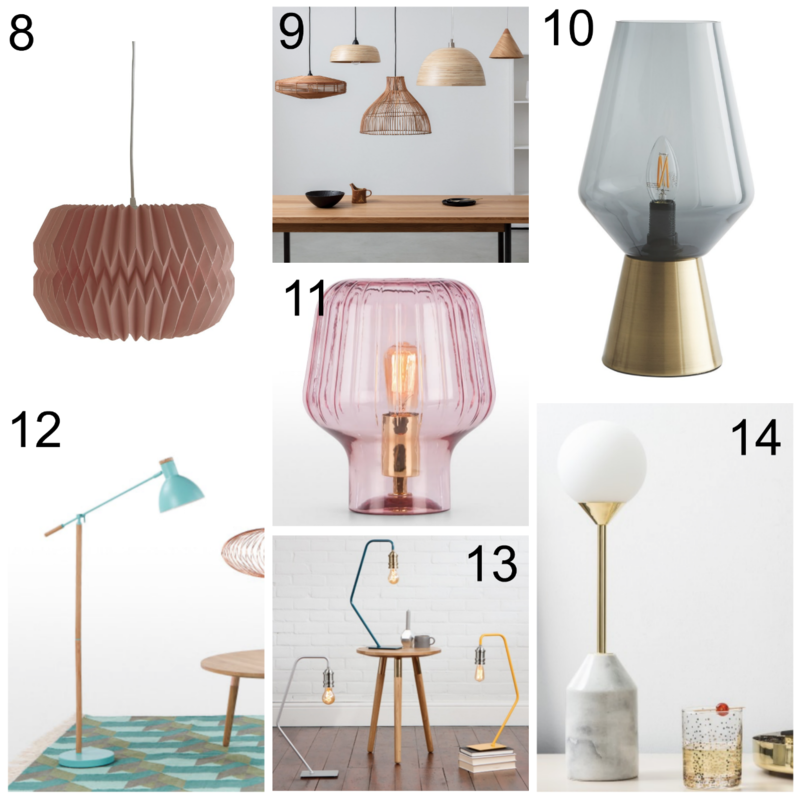 What do you think to these lighting ideas? Which one is your favourite? 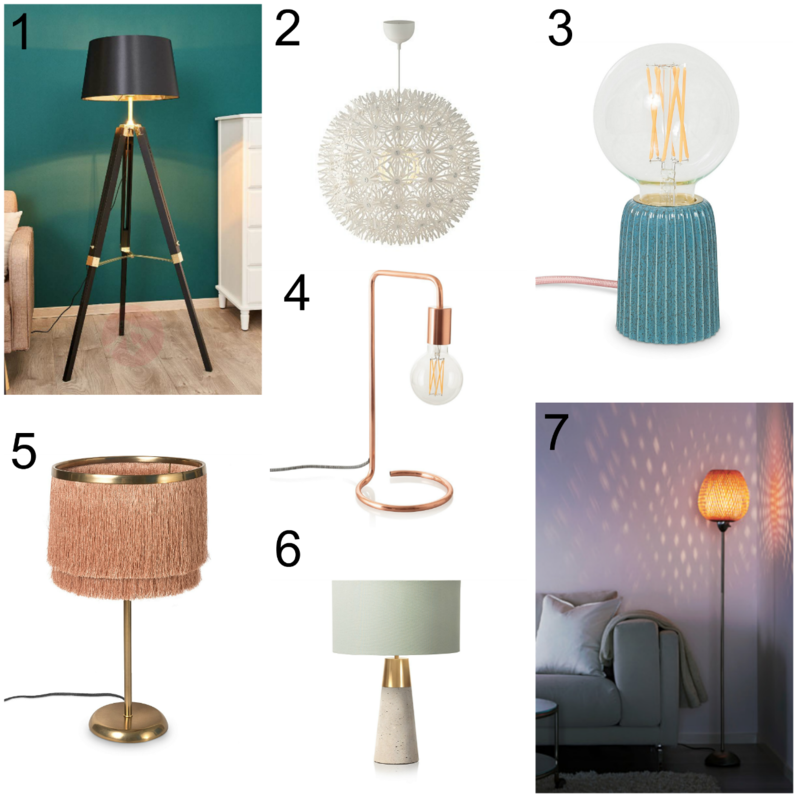 I think mine has to be the fringed table lamp from Oliver Bonas, I love how different the style is and also the colours would work well in a bedroom. Great list here Emma, well done.